Thank you for trusting in this reporting process to inform your organization of issues you believe need to be addressed. Your organization takes all reports very seriously and is committed to ethical behavior and complete transparency. Your organization is also committed to a Zero-Tolerance Retaliation policy. 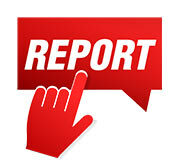 While there are several ways in which to make a report, you are urged to provide us a way in which to re-contact you. This is important for our intake specialist and your organization to obtain the relevant and verifiable information and evidence needed to conduct a thorough review of your concern. If you choose to make your report anonymously then your name, phone numbers, email addresses, identifying information, and postal addresses may initially remain confidential between parties, however Florida’s broad public records law may require the information to become public at some period. Anonymous reports will be reviewed to the extent possible based on the information provided. All information received will be treated in a confidential manner, including the identity of the reporter, to the extent permitted by law. Email us at report@GuardianWhistleBlower.com with as much information as you can, as well as a way to contact you to follow up. 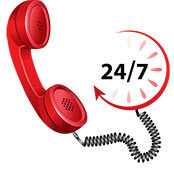 Our trained staff will assess your information; contact you for further detail, and work to resolve the issue. Not sure what information we need? Visit our Examples page for ideas on how to describe the issue. Click the button above and you will be directed to a questionnaire to simplify the reporting process. Once you have submitted the form, our trained staff will assess your information, contact you for more detail if necessary, and work to resolve the issue. 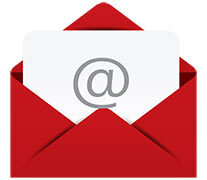 Visit our Examples page for ideas on how to tell us about your concerns. No matter which method you use, you may be given a unique identifier to refer to your report by Randy Means Consulting LLC staff so they can successfully communicate with you after the initial contact and your identity can remain confidential with our group. While no third-party confidential whistle blowing reporting process can assure you that your complaint will result in a resolution of your issue, Randy Means Consulting LLC service promises you that we will provide your information to our clients, report important issues, and work to resolve the situation in a professional and confidential manner. ©2017. GuardianWhistleBlower.com is a service of Randy Means Consulting LLC.